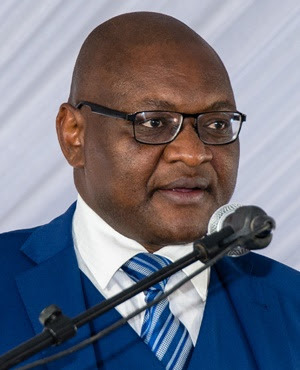 The South African Communist Party welcomes and extols the State of the Province Address (SOPA) delivered by Honourable Premier David Makhura today in the Gauteng Legislature. We congratulate the Premier for delivering a SOPA that resonates and builds in the most dynamic way with the revolutionary momentum and wave of hope inaugurated by the State of the Nation (SONA) recently delivered by President Cyril Ramaphosa. We agree that our country and province is experiencing a new wave of hope following the decisive blows by the revolutionary people against the Gupta dynasty and forces of corporate capture of the state. We welcome the commitment to ensure that the provincial government will continue to stand-guard and push back the frontiers of corporate capture of the state that constitute the greatest threat to the National Democratic Revolution (NDR). We believe that building an ethical developmental state is the most direct way to drive radical socio-economic transformation. We commend the provincial government for establishing the ethical and anti-corruption oversight body to protect and defend state organs in our province. We deeply welcome and commend the Premier on the profound and historic decision to conduct life-style audits on members of the Executive Council and senior managers in the provincial government. We firmly believe that this qualitative and decisive announcement is unprecedented in the rest of government and will enhance our commitment to defend, deepen and consolidate the democratic state to serve the working class, to fight poverty, unemployment and inequalities. We are convinced that theft, stealing and looting of state resources constitute the most severe constraint and leakage in the economy thus leading to waste and plunder of scarce financial resources necessary to improve the living standards of the people. We further appreciate the consistent drive and the progressive commitment to radically transform townships as residential areas of the working class and the poor through the township economy. We agree that changing the spatial outlook of the townships requires biased procurement and supply chain interventions and infrastructure delivery. We commend the measures and interventions made by the Premier to create jobs and grow the economy through programmes such as Tshepo One Million that focus on creating job opportunities and hope for the youth of the working class and the poor. We also welcome the principled commitment by the provincial government to provide support to the families affected the Life Esidimeni tragedy which seeks to assist them in completing the painful healing process. We appreciate the fact that since the crisis occurred, a process of investigation led by Professor Malegalapuru Makgoba was instituted and this was followed by yet another profound arbitration process led by the retired Chief Justice Dikgang Moseneke. We have however noted and are deeply concerned that there are people who continue to refer to themselves as the &quot;excluded families&quot;. We call on the provincial government to urgently attend to this matter as it has the potential to create a problem that will linger on and persist into the future. We therefore reiterate our call for a provincial Alliance Health Summit as a matter of extreme urgency. We believe that the Health Summit will give the revolutionary Alliance the opportunity to get to the bottom and root-cause of the problem. We welcome the commitment to continue to engage national government on the E-Tolls whilst cautioning against a narrow E-Toll focus in favour of integrated, safe, affordable and reliable public transport. We agree with the Premier on the need for the water-saving Revolution and the need for state organs to develop a comprehensive program to manage and promptly deal with the realities of global warming and change in climate conditions. The SACP will work with the provincial government to support its revolutionary work to place the state at the service of the people and push back the frontiers of corporate capture of the state to drive radical socio-economic transformation.